Hi! Im new here. Go easy on me! Thread: Hi! Im new here. Go easy on me! Finally found the right place to introduce myself! FWIW my wife only drinks long blacks (and various teas) and my preference varies with my mood but generally in one of the following: Ristretto, Espresso, Macchiato or a piccolo. At home it is to date mostly eiter a single 'shot' pod Espresso or A long black made with two - i make no pretences that this is high class or quality although i am adamant that the Lavazza pods are at least a step up from Nespresso and others. Unfortunately they are neither economically nor environmentally friendly (esp when using 2 pods per coffee) and I am envious of the shots i see pulled at my favourite cafe's. I look forward to meeting and interacting with you all. Welcome to the club Alex, looking forward to hearing more from you. First time poster but long time watcher. Living in Brisbane now but grew up in Bavaria. Struggling to make great coffee at home and I tend to blame my equipment - Breville dual boiler + Breville grinder - rather than my lack of skills. Thinking about upgrading to something more fancy soon - an Izzo Alex Duetto would tick all the boxes. As a previous owner of the Breville "dynamic duo", I can assure you that your current setup is very capable of producing good coffee, so I wouldn't be too quick to blame the equipment just yet. Without knowing your level of experience, may I suggest that you need to be using freshly roasted coffee from a good supplier and have a good grind/dose/tamp routine to ensure you are getting the most out of your equipment. I see from another thread that you are looking for a good barista course in your area. I think that is a good idea before splashing out a better, more expensive machine, hoping that an upgrade will address your coffee expectations. Don't for get the importance of the grinder if you do upgrade. As you are probably aware, there is plenty of good info on this site if you do a little digging. I have a Faema Family (the aluminum boiler version...yes I know , not the best one to have). Had it for 15yrs. Looks like it will need an in-depth cleaning and some fixing. Looking through the web I found CoffeeSnobs and started reading, and reading, and reading...... Wow, there is gazillion lines of information. Was never able to get consistency with the Faema Family. Now I think that PID could be a solution, and grinding (which I am totally ignorant on it) and tapping. I feel like I'm starting from far far away and even tough I had an OK machine all those years, I think it is like if i had been drinking just very ordinary coffee. I have a lot to learn (and read). 1- Even tough I have the alu version of the Family, should I go ahead, dismantle and clean it completely and then practice myself and make a scratch built PID of off it?? 2- I have read that the Rancilio Silvia seem to be the reference machine to build our know-how on becoming a good coffee maker. Is the latest Silvia M Pro V5 still a good machine to go with?? What I mean by that is that we have seen that the Faema family older model had brass boilers and then engineering went with a aluminum one on the latest ones. Has Silvia been keep a top of the line component machine across the multiple version? 3- Where should I start reading to educate myself on grinders and grinding?? Welcome Martin. Good to have a Canadian on here, eh? -10 in Montreal and +30 here. Wanna swap? There are are others more qualified than I am to answer your questions. Might be along later after they all get home from work and are relaxing with a coffee. Welcome to Coffee Snobs Martin. Probably better options than the Silvia now, great little machine in its day, however pretty outdated now. Don't know what's available on the Canadian market, I'm sure someone will be able to help. Can you explain why outdated?? It is true that when you look inside, there is no hightech sophisticated electronics, simply switches, boiler, pump. Ok looking forward for comments. EZCFlair: Been a saw tooth temperature this winter. -20C to +second crack in 24 hours, back down to -10C and up with rain. Not the type on winters we like, eh!!! I guess what Yelta is trying to say is that there are better alternatives to the Silvia in the same price range, or you can get something equal or better for less money. Things like the NS Oscar II or Lelit range come to mind. you can get something equal or better for less money. Things like the NS Oscar II or Lelit range come to mind. Thank you LeroyC, I'll go read about those 2 models and see if they are available in my region. Dimal and EZCFlair like this. Hi Leilaguan, welcome to Coffee Snobs. Not sure I can recall seeing another member from China. Tell us a little about the coffee you are using. Welcome Mick73647 ...#1. Get good fresh beans you like ; check roast date and be sure they were roasted within the last 1 to 14 days if not go somewhere else...or beanbay #2.toss the single and get your double basket fill with beans so it's level #3. tip beans in the grinder -set the grind fairly fine, so that if you pinch the grinds between your fingers it sticks- is a good start point #4.make an even distribution of grinds in the portafilter and level then tamp gently vertical ten kg or about. #5. at this point check that it loads on to the group with out disrupting the puck- so lock in portafilter then remove, has the puck been disturbed? if not commence #6. if yes remove a pinch and repeat #4. ideally you want a grain of rice or five cent piece to fit between shower screen and puck...when that's ready... #6. start your double shot pour. Get 40-60 mls in 20-30 seconds. I count 20 secs from first drops appearing or 30 secs from switch on pump. These are general guide lines and fundamentals to good espresso once you have good understanding you will be able to adjust from there. Note: If your pour is choking ie. coming out to slow; make your grinds slightly courser and make sure first it's not #5. causing the issue, because as the grinds swell it chokes the pour. You need the little space (1-2 mm) between puck and shower screen. Good luck. Morning Mick, welcome to Coffee Snobs. What type of grinder are you using with the Sunbeam? a decent grinder is pretty important for the production of good espresso. Hi everyone, long time non-snob coffee drinker here, looking to learn. This summer I've been keeping casks of Seven Seeds cold brew in the fridge, and slowly this has become my regular twice a day drink! But it's kind of expensive so I'm looking to start making cold brew at home. I have a large french press that I plan to use. What I don't have is a grinder. I was originally thinking to get a manual hand grinder but it's probably a bit of a pain to grind a whole bag of beans in one go, so I figure electric is better. Many grinders seem oriented towards espresso, with a place to put the filter thing, but really I just want something that will dump my ground coffee into a container. Maybe some day I will get an espresso machine at home but not right away. If people have suggestions on the kind of grinders I should be looking at I would greatly appreciate it! Quick google search -- China is among the top 20 coffee producers in the world. I didn't know that but it makes sense geographically they have some areas with the right conditions. Welcome heycam. Your first port of call could be to drop into one of the site sponsors in the following section: https://coffeesnobs.com.au/sponsors/ They will be able to recommend options that will suit your needs within your budget both now & into the future. Another option would be to pick up a Breville Smart Grinder Pro which I've seen for about $170 in recent times. Probably not the best grinder for espresso however when grinding coarser such as for cold brew it should be more than sufficient for your needs. Hi Everyone, Coffee snobber from Brisbane just welcoming myself. Recently joined this website in hopes of doing a bit of research into single dose grinders as well as potentially selling a coffee machine I've had for the last 7ish yrs. I currently have a mini Mazzer with the holding can, but very excited about the niche zero. So far reviews are looking very promising but I think ill wait a few months and see how they go. Killed my EM6910 despite the helpful advice on a thread on here I am giving it to a mate. We bought a Breville dual boiler and stand alone grinder combo. Think it is a BES920. Anyway happy with it so far. Steams like a beauty. Brewster, Dimal and LeroyC like this. just checking in. To say gidday and share my plan. I’ve had a few machines and enjoy a simple double shot. Currently rocking a Breville duo temp. With ok results within the assistance of the pressurised basket as my old school burr grinder isn’t up to the task. I’m looking to attend a barrister class to learn more as I’m pretty much a sponge for anything coffee related and enjoy the black nectar. i’m going To purchase an old school Gaggia Classic and refurb and upgrade it in time with the usuals. I’m on the fence with a grinder and will be seeking advice in time. Dimal and cicookie83 like this. Going to law school won't teach you much about making coffee I'm afraid. Dimal, Yelta and Otago like this. How’s it going Coffeesnobs members! 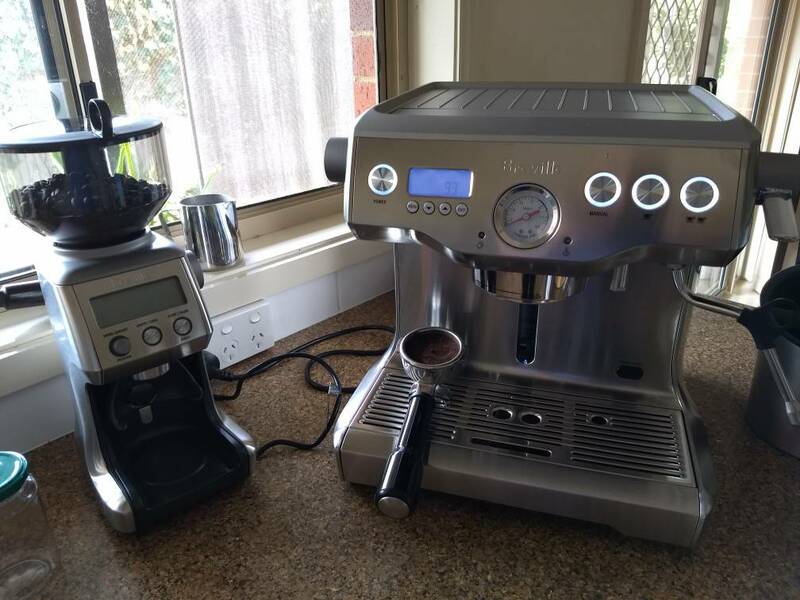 My first purchase was a Delonghi Dedica e685, i thought it wasn’t too bad for the price. Unfortunately its pump has gone 6 months later and need something new, So I’ve been following this site for about 6 months. And have been able to save for a La Pavoni Europiccola. Paired with a Pharos hand grinder which I have ordered and will arrive in about 2 weeks. I am very prepared. I hope to make some new friends not only on the forum but possibly in China aswell as my fresh bean network is non existent. Excited to try some snobby coffee. Last edited by AUinGZ; 4 Weeks Ago at 06:06 PM. Dimal, level3ninja and cicookie83 like this. Not exactly my first post here; but thought it'd be good to pop by the new here to say hi. Also, the post above about the EC685 pump going after 6 months worries me a little, i am about in the 5th month now at 2-3 shots a day. I wouldn’t worry to much mate, the main reason for this was because I brang it to my university for a “cultural exchange” day and was pumping out coffees with it non stop for about 12 hours. It died the next day. I think if you avoid this sort of abuse then it should be fine. Machines to and from the USA: How easy? 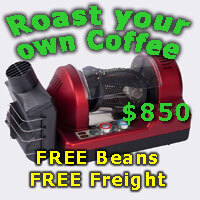 Easy to use machine less than $500?